There are frequently discounts available to senior citizen and smaller children. Discover by contacting your nearest pool in South Yorkshire. Water sports are escalating specially in elderly population sectors who've suffered some sort of muscle or bone damage. Most on the Outdoor Pools in South Yorkshire offer you both open lanes for independent swimming and also guided activities like water aerobics or aquabike. These are the Swimming Pools other users have reported. Are you a local and your pool is just not listed? Contact us to ADD IT. It's cost-free! Swimia.com requirements your feedback to ensure all of the information is valid, due to the fact maybe this pool is no longer open towards the public. 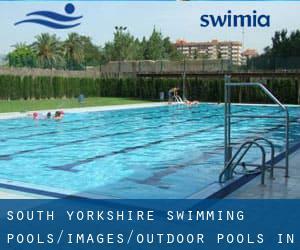 Swimia.com has essentially the most up-to-date database about Outdoor Pools in South Yorkshire. Whereas Chapletown is one of the six most populous cities in South Yorkshire with almost 22.785 residents, you shouldn't miss that one if you're going to South Yorkshire. Let us let you know a secret to switch off whilst you're in Hoyland Nether: just pick a Swimming Pool in Hoyland Nether and plunge into the water! There's no more useful method. Without a shadow of a doubt, swimming in Bentley is the best strategy to unwind right after function. Take a couple of minutes to browse Swimia's catalog to find a Swimming Pool in Bentley. It's difficult to visit South Yorkshire without dropping by Wombwell (with 15.518 residents). Currently Swimia is showing you all the Swimming Pool in Wombwell as well as the closest pools situated in its vicinity. Swimming is a great idea to help keep your body active for the duration of your visit to Darton (South Yorkshire), or perhaps if you are a local. Swimia helps you to find your closest Pool in Darton. Holding an estimated population of 11.903, Cudworth is one of the most important cities in South Yorkshire. Check all the Swimming Pool in Cudworth and its surrounding area. High St. , Hampton , London - West , England , UNITED KINGDOM (Postal Code: TW12 2ST). This sports center delivers 36 meters x 14 meters, 6 lanes, Outdoors. Contact info for this Swimming Pool for example phone number and email address are number. 1 Thames Valley Park Drive , Thames Valley Business Park , Reading , England , UNITED KINGDOM (Postal Code: RG 6 1AD). Swimmers like you reported 25 meters x 10 meters, Indoor/Outdoor. Unfortunately we do not have the email address of this Swimming Pool, but we can provide you with the phone number. 161 Banks Rd , Sandbanks , Poole , England , UNITED KINGDOM (Postal Code: BH13 7QL). Among all the activities offered by the center, in case you are interested in swimming you will get pleasure from 17.5 meters x 6.5 meters, 1.1 meters - 2.2 meters depth, 1.1 meters - 2.2 meters depth, Outdoors. Just in case you desire to get in touch with this Swimming Pool just before dropping by, we only know the phone number. Queens Park Avenue , Billericay , England , UNITED KINGDOM (Postal Code: CM12 0SP). Swimmers like you reported 23 meters x 10 meters, Indoor/Outdoor. Unfortunately we do not have the e-mail address of this Swimming Pool, but we can give you the phone number. London Fields Westside , Hackney , London - East , England , UNITED KINGDOM (Postal Code: E 8 3EU). This sports center offers Olympic size x 17 meters, 8 lanes, 1 meters - 2 meters depth, 1 meters - 2 meters depth, Outdoors. For this Swimming Pool, only phone number is number here. Vale Park , Park Street , Aylesbury , England , UNITED KINGDOM (Postal Code: HP20 1DX). This great and large sports center lets professional swimmers like you enjoy 25 meters, 8 lanes, Indoors. Additionally, within these facilities you can try 20 meters, 4 lanes, Outdoors. Phone number and e-mail address are number for this Pool. Jesus Green off Chesterton Road , Beside the River Cam , Market , Cambridge , England , UNITED KINGDOM (Postal Code: CB4 3BD). Swimmers like you reported 100 yards x 45 feet, 1.2 meters - 2.5 meters depth, 1.2 meters - 2.5 meters depth, Outdoors. Phone number and e mail address are number for this Swimming Pool. Tooting Bec Road , Tooting , London - South , England , UNITED KINGDOM (Postal Code: SW16 1RU). Swimmers like you reported 91.5 meters x 33 meters, Outdoors. Unfortunately we do not have the e-mail address of this Swimming Pool, but we can give you the phone number. Updated on 2019 Hornfair ParkShooters Hill RoadLondonSE18 4LX. Swimmers like you reported Olympic size, 5 lanes, Indoors. Unfortunately we do not have the email address of this Swimming Pool, but we can give you the phone number. Drayton High Road , Hellesdon , Norwich , England , UNITED KINGDOM (Postal Code: NR6 5DU). Swimmers like you have reported 25 meters x 18 meters, 3 lanes, Indoors. Also, you will find 20 meters x 8 meters, Outdoors. Just in case you would like to contact this Pool before dropping by, we only know the phone number. Oakfield Place , Clifton , Bristol , England , UNITED KINGDOM (Postal Code: BS 8 2BJ). This sports center provides 25 yards, Outdoors. Contact data for this Pool for instance phone number and e-mail address are number. 242 Christchurch Road , Ringwood , England , UNITED KINGDOM (Postal Code: BH24 3AS). This sports center delivers 25 meters, Indoor/Outdoor. For this Swimming Pool, only phone number is number here. 32 Endell St. , Bloomsbury , London - Central , England , UNITED KINGDOM (Postal Code: WC2H 9AG). This great and large sports center lets professional swimmers like you enjoy 27.5 meters x 9.8 meters, 3 lanes, 0.9 meters - 3.5 meters depth, 0.9 meters - 3.5 meters depth, Outdoors. Additionally, within these facilities you can try 25 meters x 8 meters, 3 lanes, 1 meters - 2 meters depth, 1 meters - 2 meters depth, Indoors. Unfortunately we do not have the email address of this Swimming Pool, but we can give you the phone number. East Acton Lane , Acton , London - West , England , UNITED KINGDOM (Postal Code: W 3 7HB). This sports center delivers 25 meters x 11 meters, 6 lanes, Outdoors. Contact information for this Swimming Pool including phone number and email address are number. 269c Woodstock Road , North Oxford , Oxford , England , UNITED KINGDOM (Postal Code: OX2 7NZ). Few days ago a regular user of this center told us they offer 25 meters x 8 meters, 3 lanes, 1.5 meters uniform depth, 1.5 meters uniform depth, Indoors. Furthermore, they keep in good conditions 20 meters x 8, Outdoors. For this Swimming Pool, only phone number is number here.